There is no doubt that home remodeling is expensive. It is, therefore, only natural to want to save money wherever possible. That does not mean, however, that you shouldn’t splurge. In fact, there are items that are worth paying a little more, be it because you want a quality item or a unique one or for any other reason. Here are six areas where you should definitely invest in when decorating your home. Paint is one of the quickest, easiest and most impactful ways to change a space. Higher quality paint will give you richer colors and a broader array of choices. Better quality paint also offers a washable finish which makes maintaining it much easier. You can repaint an entire room a single color or you could paint one wall to create a visually stunning accent. Wallpaper is another option for your walls. It can be eye catching and iconic. Lighting fixtures are one of the most important elements in your design. Recess lighting can help to streamline the look of a room by offering lighting without the fixtures getting in the way. Sometimes, however, light fixtures can add to the aesthetic of a room. A pendant light or lamp for example can complement the décor while focusing light to the places where you need it the most. Whether you decide to go with recessed lighting or with lamps or visible fixtures, lighting is one place that your money will be well spent. Having good quality furniture that can be used in just about any setting is a must. You may have to spend a little more up front, but the investment will pay for itself over time in all of the years you will be able to use it rather than spend more money on a replacement. 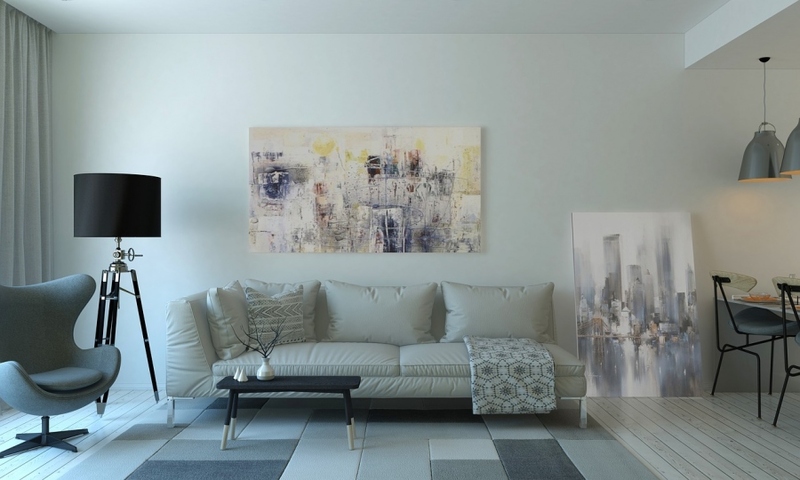 If you live in an apartment, but have an eye toward buying a home in the future, it is worthwhile to invest in quality pieces now. You will be able to expand your collection when you move into your new home rather than starting all over. Start with a statement piece. This should be a singular piece such as a piece of art or a piece of furniture around which you can build your design. It should be something that really speaks to you and shows off your style. Surround it with classic pieces. Classic pieces are things that stand the test of time where style is concerned. These pieces can be lamps, picture frames and even furniture. When you spend your money on classic pieces that will be with you for a long time, you are making an investment. A good quality mattress is not just important when you are decorating; it is necessary for your health and happiness. Human beings function better and are less likely to suffer from mental health issues, such as depression, when they are able to get a good night’s sleep. Look for a mattress that is the right size, which may mean getting a larger size than you think you need, such as a queen instead of a full-sized mattress. You should also make sure to get one that is comfortable and gives you the appropriate support for your head, neck and back. Your mattress is the gateway to a solid night’s rest. Its importance in your life cannot be overstated. This is not the place to skimp. When redecorating your space, make sure you are investing your money wisely. This will ensure that you get the space of your dreams and that it will remain your dream space for a long time.